NEW YORK, UNITED STATES (14/JUN/2013.) - The Latin American and Caribbean countries in 2011 managed to have a greater number of people living in the middle class than in poverty, but the region is still far from reaching the prosperity of the rich countries as one out of four Latin Americans lives on less than four dollars a day, reported the World Bank on Friday. For the first time in history, economic growth was able to expand the middle class to 32% of the total population in the region in 2011 surpassing 27% of Latin Americans who live in below the moderate poverty line, according to a World Bank report. The income increase has exceeded the assumed revenue growth by three quarters between 2003 and 2011. 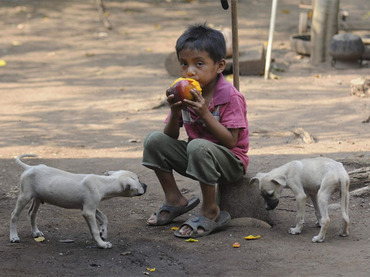 Nevertheless, approximately 40% of Latin Americans are in risk of returning to a state of poverty, warned the international report.